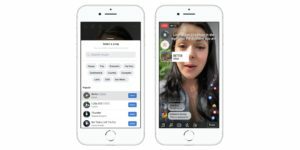 Music is in the air, and Facebook was in tune with the updates it revealed on Wednesday October 24: the addition of music to Facebook Stories, the expansion of its Lip Sync Live feature to pages, the addition of lyrics to Lip Sync Live and testing the ability for people to add songs to their profiles. The social network originally revealed in June that it was testing the ability for people to include licensed music in their videos, and it also rolled out Lip Sync Live—allowing users to sing along with available songs and add descriptions and Facebook Camera effects, such as masks and backgrounds, to their videos—to select iOS users. 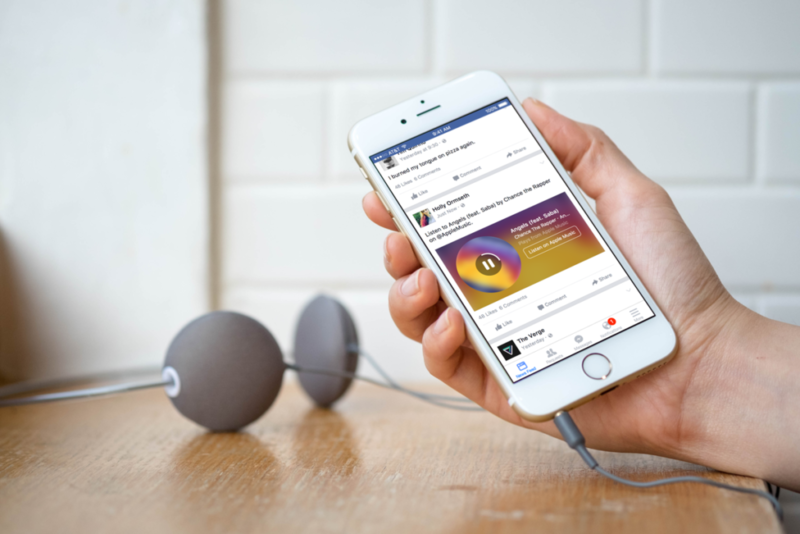 Facebook head of product, music and rights Fred Beteille and head of music business development and partnerships Tamara Hrivnak detailed Wednesday’s updates in a Newsroom post. 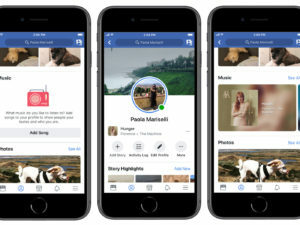 Starting October 24, songs can be added to photos and videos that are shared to Facebook Stories, and this feature will be added for News Feed, as well. Users can capture a photo or video with the Facebook Camera or choose one from the camera roll on their device, and then tapthe sticker icon and choose the music sticker. Once a song is chosen, they can select the part of the song they wish to share and add the sticker—complete with the artist and song name—to their content. Stickers can be moved around, and other stickers and effects can be added, as well. Lip Sync Live has been introduced in several countries, and Beteille and Hrivnak said the feature is being made available to more artists and creators with its extension to pages. In addition, lyrics began rolling out for Lip Sync Live, so that people can see the lyrics to the songs they are singing. Lyrics are initially available for songs including New Rules by Dua Lipa, Better by Khalid and Girls Like You by Maroon 5, with more to be added later. Finally, Beteille and Hrivnak said Facebook will soon introduce the ability for people to add songs to their profiles. Profiles will feature a new music section, where people can include songs they are currently listening to or favourites. Artists and tracks chosen by users will be visually showcased, and when other people play a song on their profile, they will hear a clip and see a video featuring photos of the artist and album art. They can also choose to add that song to their own profile or visit the artist’s page.